We're all familiar with Janine Gutierrez's classic beauty: legs for days, striking doe eyes, and killer brows! But what most people don’t know is that the 27-year-old Kapuso star has a sibling that shares an uncanny resemblance to her: the Gutierrez fam's bunso, Maxine Gutierrez. Maxine looks so much like her ate! Yup, they have the same eyes, cheeks, and, obviously, the same smile. 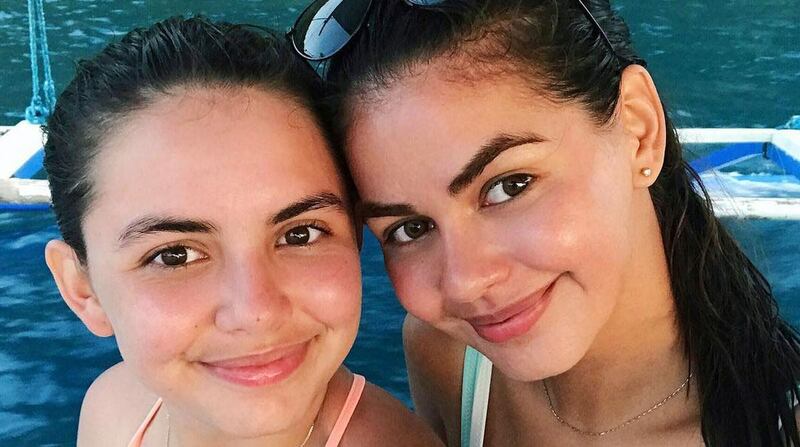 Seriously, these girls have some damn good genes!